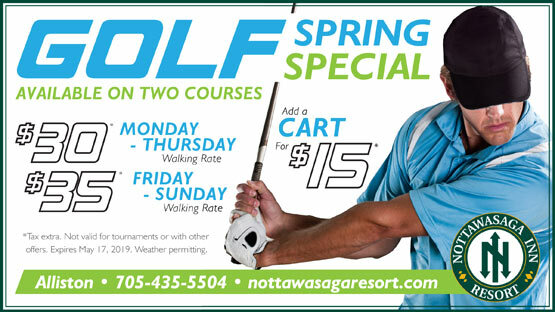 Nestled within the beautiful Nottawasaga Valley, we are one of the few resorts in Ontario with 2 golf courses and is considered to be a golfer's paradise. Whether you are a serious golfer or a recreational player, you will encounter a scenic and unforgettable challenge on both our golf courses. 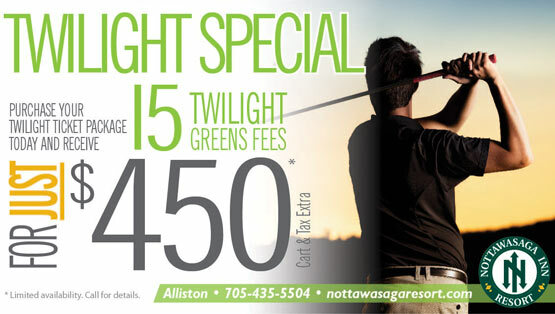 The Nottawasaga golf course will challenge the accuracy of your swing as you negotiate your way through mature trees and the winding banks of the Nottawasaga River. The Ridge golf course features spectacular varied elevation changes, tall trees, and large undulating greens offering a demanding but fair challenge to golfers of all abilities. 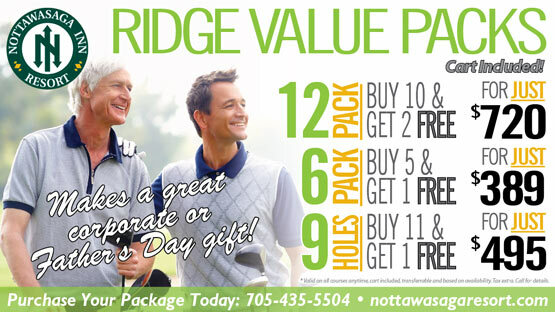 Both the Nottawasaga and Ridge golf courses feature practice facilities as well as Pro Shops offering an extensive line of golf apparel. Whether you're joining us for a round or an unlimited golf getaway, our attentive and knowledgeable team is available to ensure your golf experience is unparalleled. Specializing in golf tournament services we organize every detail, from the ground rules, to player management, to dining options, ensuring that your event runs seamlessly.